Streetwise Security raises the bar once again with the introduction of their patented Police Force 9,200,000 Tactical Stun Flashlight. This may just be the best compact tactical Stun Flashlight on the market today. Although it is only about 6.5 inches long, it packs the power normally found in units twice its size. 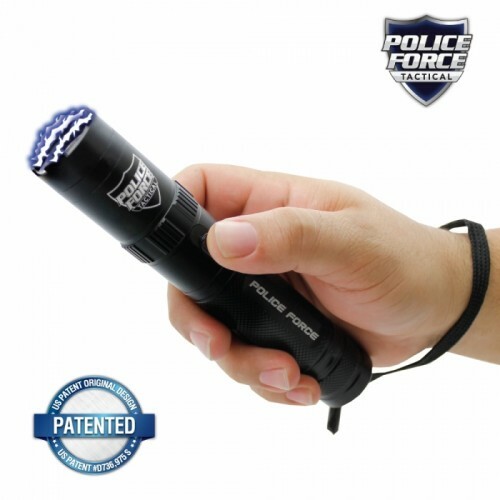 Using advanced technology to create a superior tactical stun flashlight, the PF9200BK can be depended upon to provide you with a lifetime of security and safety. *Actual Voltage output is difficult to measure and verify, but this unit compares to other brands that claim to be 9,200,000 or more volts.